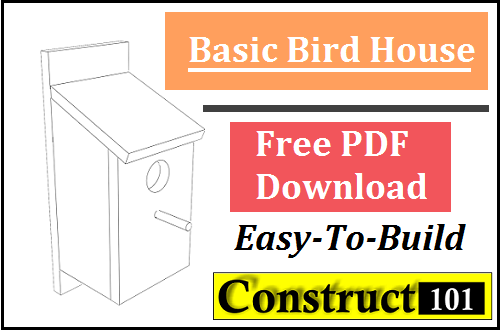 Easy-to-build project, just follow these simple bird house plans. This bird house can be completed in a couple of hours. The picture above shows a 2″ entrance hole. The size of the entrance hole will depend on the type of bird.